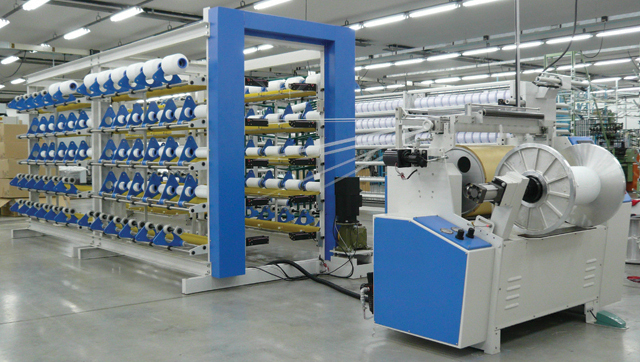 The KD series is built to warp various kinds of tape, thread, yarn, and other narrow fabrics and rubber. This line comes with many available features designed to improve and maintain the quality of the processed fabric. These features include various automatic tension control systems, multi-phase reeds for different input angles and quantities, advanced creel designs, adjustable speed transmissions, and automatic failsafe shutdown systems that are quick and easy to manage and reset. For short or long runs, the KD machines work with fewer flaws than other machines of their kind and produce smooth, neat, production ready results.